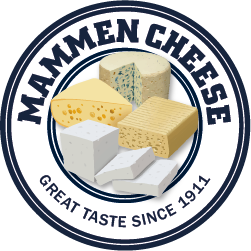 Mammen Cheese - Sliced cheese is one of the biggest cheese categories. Sliced cheese is one of the biggest growing segments within the overall cheese category. Sliced cheese can be found among natural cheese, processed cheese, blue cheese, soft cheese and more. 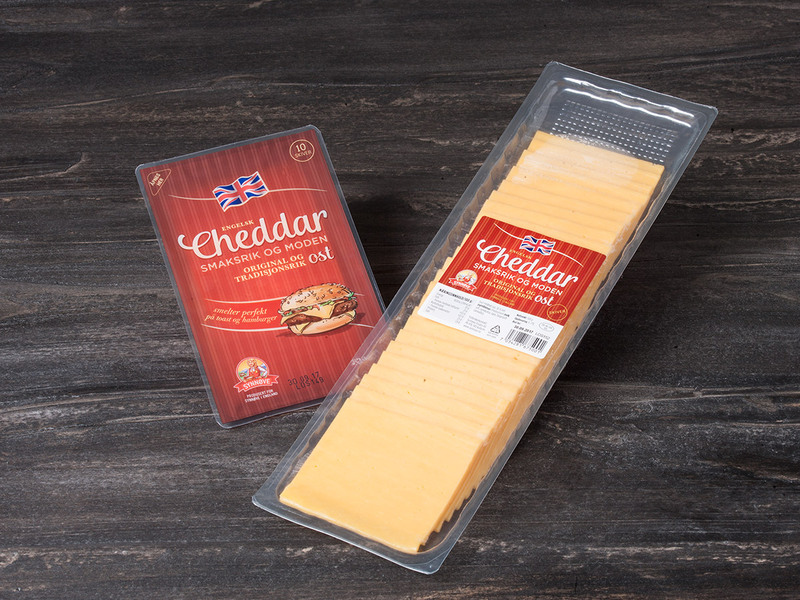 The possibility to vary shape, size, thickness and other means that the sliced cheese has endless opportunities to get just the product you need for any application & usage. Efficient handling & no waste using sliced cheese is another important economic benefit, compared to the traditional blocks of cheese. 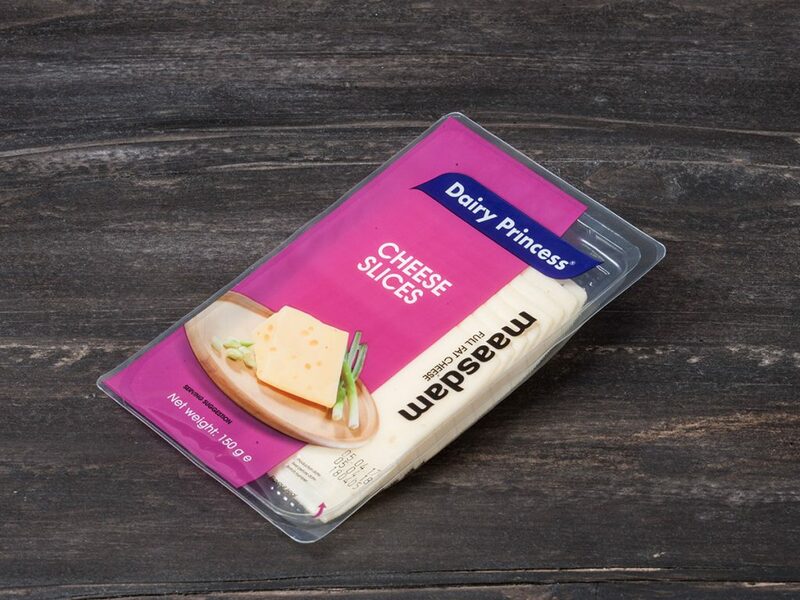 Sliced cheese is produced in many types of packages. Vacuum packed, packed with modified atmosphere, single sliced packaging, IQF frozen etc. Products are typically found packed in modified atmosphere for both retail & FS. 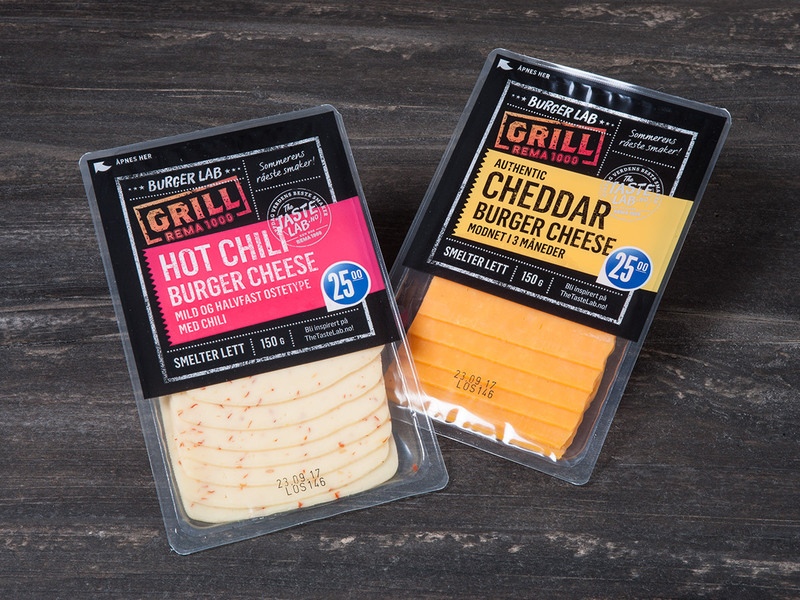 Products for retail are typically individually wrapped, while foodservice products are often produced & sold stacked slice on slice for an efficient handling in, for example, burger restaurants. Used only in the foodservice segment. Your imagination is the limit in terms of product types and shapes. Mozzarella with both high and low moisture, Goat cheese, non-ripened or ripened in any shape (square, circular, triangle), blue cheese, yellow cheese, soft cheese like Brie/Camembert and other cheeses that are difficult to handle as a fresh product. IQF products are typically used in the HORECA sector for usage in cafes, sandwich production, etc. up to full-scale industrial uses. Natural sliced cheese is the biggest category within slices in Europe, both retail and HORECA are fast growing segment since a few years. Natural slices have become a price competitive alternative both in industry, Horeca and private families as you have a low labor intensive product and no waste using this type of products. Exact weight per slice makes it easy to calculate raw material cost in industry and to measure the exact labor cost. 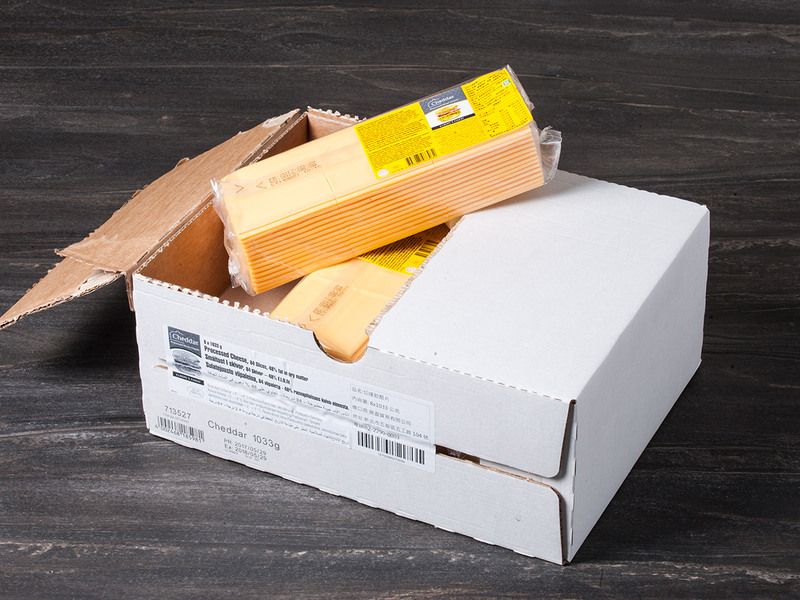 The shelf life of a natural sliced cheese depends on the type of cheese and maturation, storage and handling, but as an indication a shelf life of 75-120 days is normal. Almost all types of natural cheese can be sliced, depending on type, how hard/soft it is, maturation and other parameters, you just adjust thickness and size on the slices and you have your traditional cheese in slices – young as well as matured. 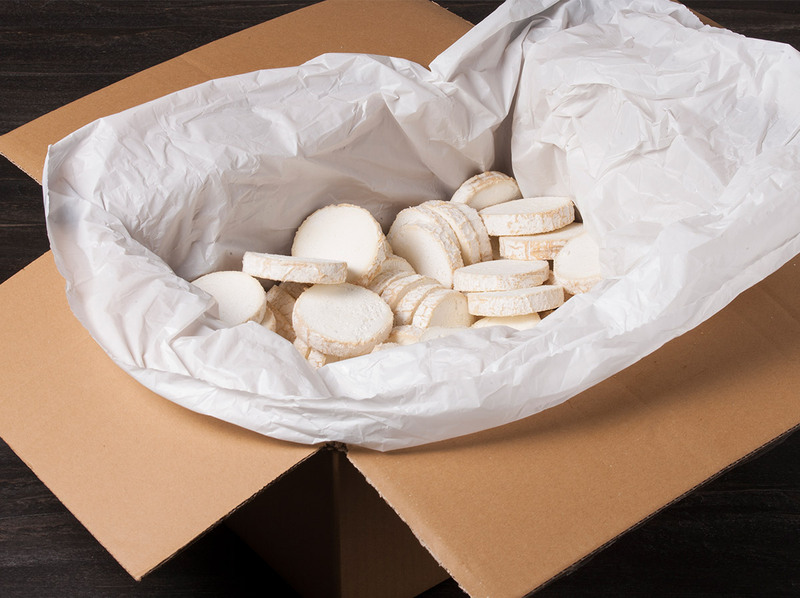 Our standard package for Horeca is a 1kg package, packed in 6 or 10 pieces per carton. Edam, Gouda, Maasdam, Emmental. Cheddar, Tilsit, Samsø, Danbo, Havarti or other 5x10cm, 7,5x10cm, 10x10cm 10x15cm. 10g, 12g, 13g, 15g, 20g, 25g/slice. Retail packages from 100g and up is available, please forward an inquiry with your demands. Processed sliced cheese is the biggest sliced cheese segment globally within Horeca together with shredded products, burger slices is a major part of this volume due to hamburger chains all over the world. 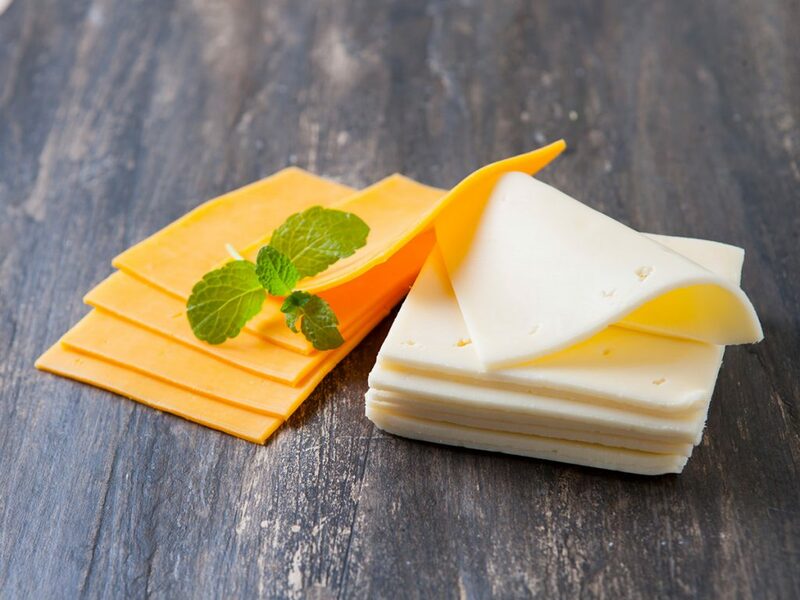 Retail sales of processed cheese are growing in many parts of the world while it has been a natural part of the supermarket assortment in North America for a long time. Natural cheese is still by far the biggest selling product in Europe where there is a long history for natural cheese. Processed cheese and processed vegetable products are available in an endless variety in terms of shape, taste, flavoring or usage. Blends of animal & vegetable fat products are common. Full dairy or full vegetable is just as common, which is why it’s problematic to compare products in this category without knowing the exact recipe. We are able to provide any type of recipe according to demand or usage. Please contact us for further product information or questions. IQF (Individual Quick Frozen) slices is a growing segment in the Horeca sector. IQF products sometimes have a better shelf life control, and is economically viable because of the lack of waste. It also gives you a low labor intensive production environment, as many steps are already completed in the production process. IQF sliced products are typically produced from products with limited shelf life, as a fresh product, or made out of products that are hard to handle as fresh, in a production facility. IQF sliced cheese can be produced from ripened or unripened goat cheese, brie, camembert, mozzarella, blue cheese and even some mild natural cheeses and raclette. Besides our large sortiment of sliced cheese, we also produce and sell a lot of sliced cheese for private labels. Contact our sales team for more information.